Now a day’s mobile phones are used vastly to communicate on a professional base. Employees, clients, vendors and technicians all want to stay in direct contact with the concerned authorities or department of your company. Taking this into consideration ECOBPM offers you an easy to install and use Mobile Interface. This feature enables all elegant Smart Phone (Android and IPhone) users to manage their business processes via mobile. 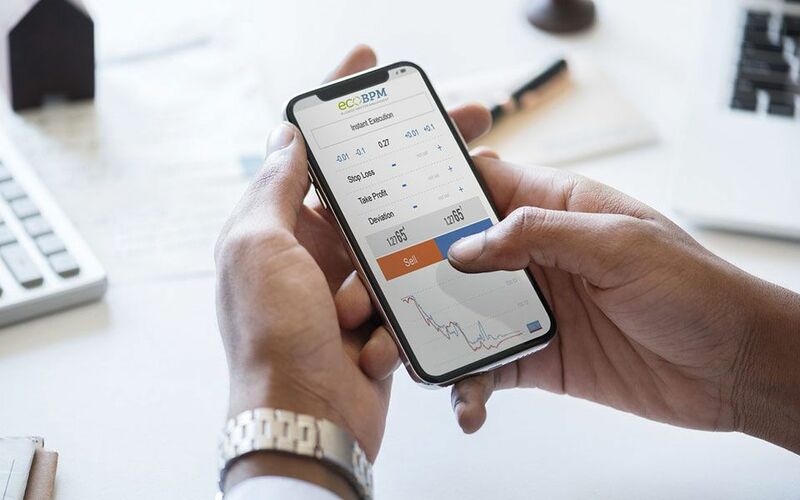 ECOBPM has all its data stored with the AWS Cloud, this way it is easily available to everyone logged in with the system. Each member has total access to the information using a browser or mobile. This allows you to stay in touch with all your employees around the globe 24/7. This software also permits the Clients and Vendors to connect to the company through mobiles, thus enhancing work order procedures. With ECOBPM you could comfortably manage all your work orders with your mobile without the need of PC’s or laptops. Some of the amazing plus points of using ECOBPM via mobile are listed below. You are no longer restricted to an office or to a particular place in order to manage your company business. Using the software on the mobile you will be connected to all work activities from any place in the world. Your Technicians are able to receive and view the allotted work orders on the mobile phones. Acceptance of work can be sent by them immediately. If work is rejected due to certain reasons then too you shall be notified through a message. Work orders are depicted in different colors for clarity. Green – Open Work Orders, Blue-Ongoing Work Orders and Gray-Closed Work Orders. The Check-In and Check-Out features give greater control to technicians on the field to carry out their work independently. Using this they could take decisions faster, aiding in quicker completion of work, saving time and resources of the company. The time taken by a WO to be completed could be tracked with the mobile, thus minimizing wastage of time. Using ECOBPM on the mobile you and your Technicians could upload work related pictures and videos on the Cloud. This is a rapid process because of the centralized data. If needed Signatures could also be uploaded. Your Smart Phones with ECOBPM help you manage all Work Orders alongside a Calendar, this way it becomes easier to meet scheduled deadlines. This GPS based software assist you and all your work staff to locate sites and work effortlessly with the mobiles. ECOBPM software on the mobile makes communication faster. Messages could be sent to any concerned person or group instantly. The chat features facilitate Technicians, Vendors and other contacts to get in touch with each other whenever necessary. By using the software on the mobile you have continuous access to your entire contact list. This way you are only a phone call away from your Technicians, Employees, Clients or other associates. Each person logged- in to the software can have their own distinctive profile and change it if needed.